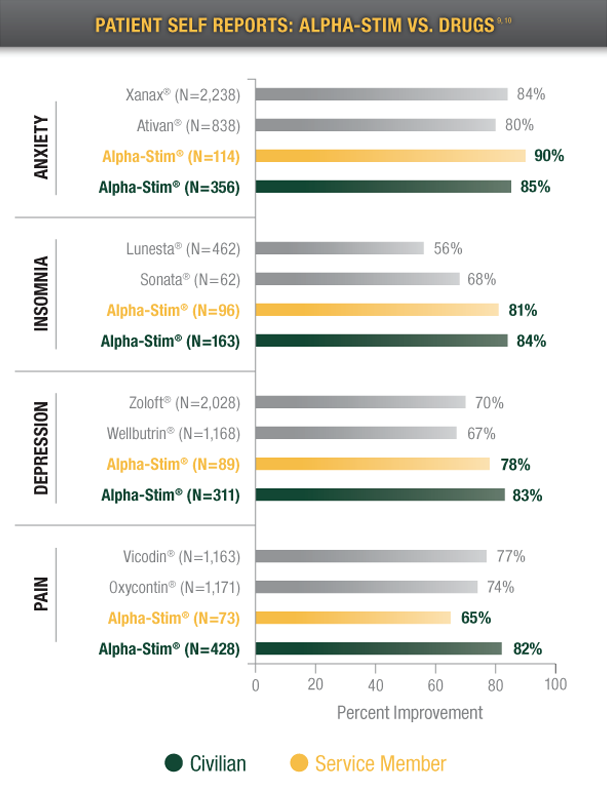 Physician and patient surveys that show 90% of the people who use Alpha-Stim® get significant relief when using it as a form of pain, anxiety, depression, or insomnia treatment. This is supported by over 95 completed independent research studies and published reports, many of which were randomly controlled trials to ensure rigorous testing and clinically validated results. 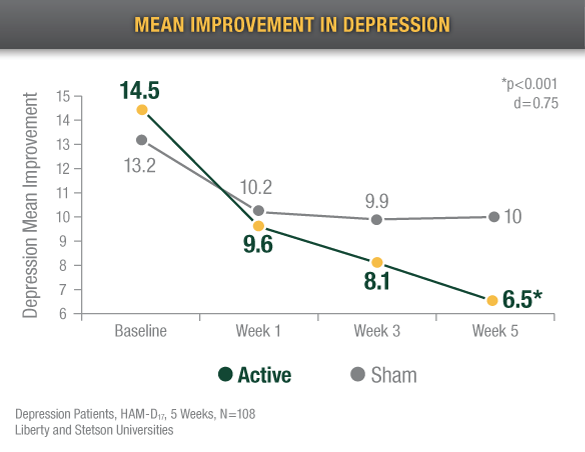 That’s why over 200 Department of Defense (DOD) practitioners and over 92 Veterans Administration (VA) hospitals use Alpha-Stim with military personnel for acute, chronic, and post-traumatic pain, anxiety, depression, and insomnia treatment. 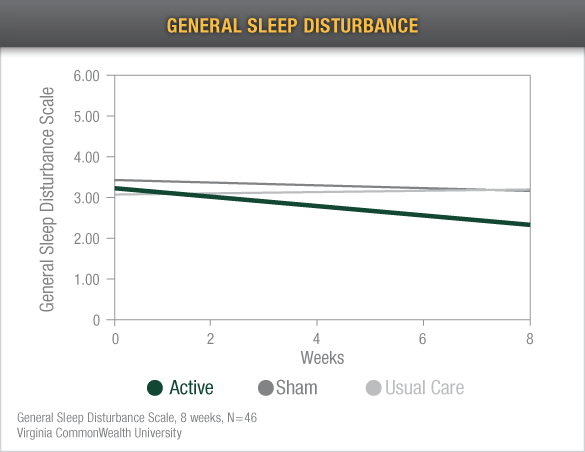 *Insomnia reduction varies widely, with some individuals having improved sleep immediately and others not having improved sleep until weeks into treatment. 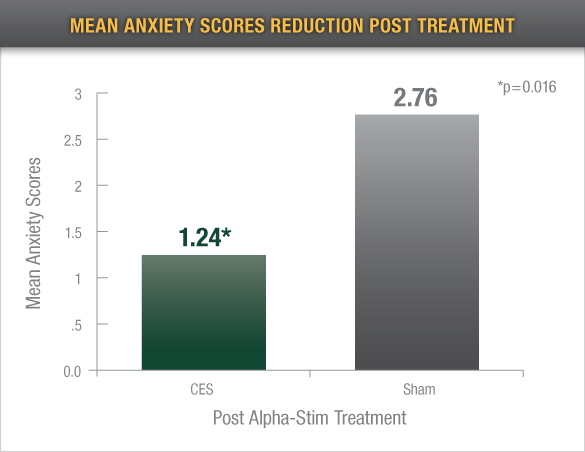 Alpha-Stim has proven its safety in 95 research studies, published reports and ongoing research, physician and patient surveys. 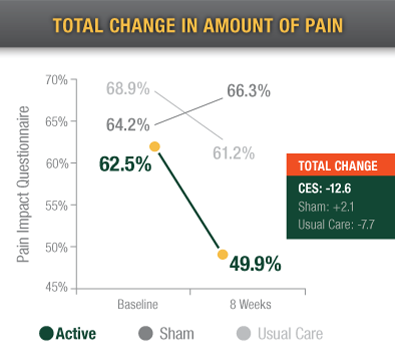 Scores of professionals who have used Alpha-Stim technology for pain, anxiety, depression, or insomina treatment have remarked on the unsurpassed safety and quality of the devices. In over 30 years of studies involving 8,800 people, only minor side effects have been reported. The two most common side effects were headaches (0.10%) and skin irritation at the electrode sites (0.07%, only seen in light-skinned people). Barclay TH, Barclay RD. 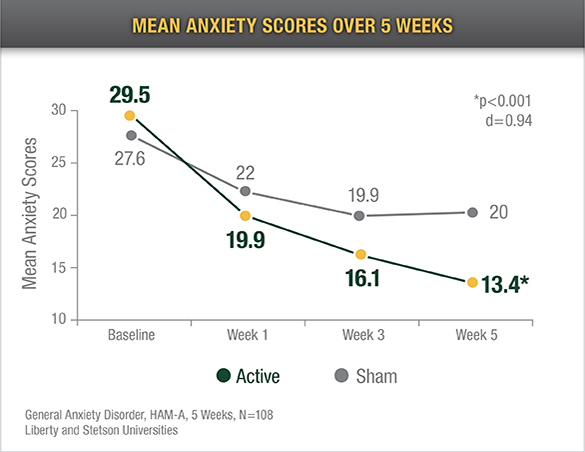 A clinical Trial of cranial electrotherapy stimulation for anxiety and comorbid depression. Journal of Affective Disorders. 2014; 164:171-177. Presented at the American Psychological Association National Conference, Honolulu, July 2013. Lee S-H, Kim W-Y, Lee C-H, et al. Effects of cranial electrotherapy stimulation on preoperative anxiety, pain and endocrine response. Journal of International Medical Research. 2013; 41(6) 1788–1795. Lande, R. Gregory and Gragnani, Cynthia. 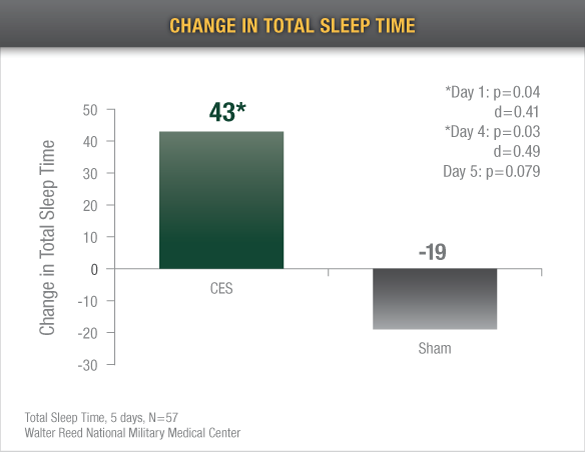 Efficacy of cranial electric stimulation for the treatment of insomnia: A randomized pilot study. Complementary Therapies in Medicine. 2013; 21(1):8-13. Taylor AG, Anderson JG, Riedel S L., Lewis, et al. 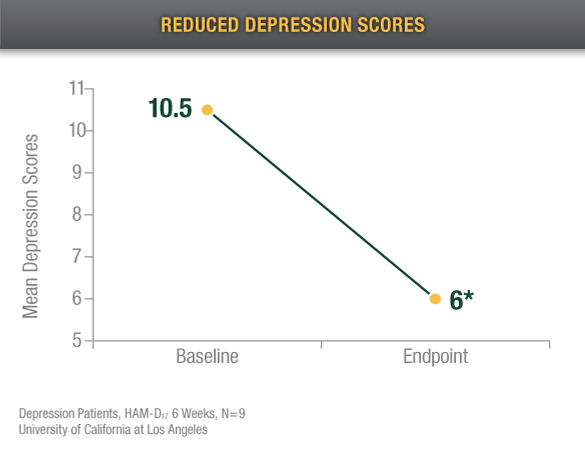 Cranial electrical stimulation improves symptoms and functional status in individuals with fibromyalgia. 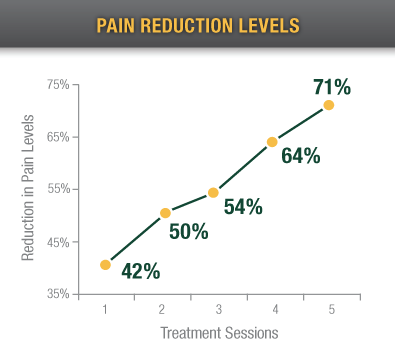 Pain Management Nursing. 2013; Dec;14(4):327-35. Accessed online October 28, 2011 at www.WebMD.com/drugs. 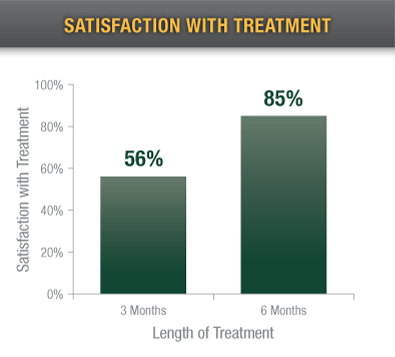 Pharmaceutical survey data. Alpha-Stim Military Service Member and Civilian Data. 2011. Conducted by Larry Price, PhD, Associate Dean of Research and Professor of Psychometrics and Statistics, Texas State University.